For anyone just starting out with music, finding the right musical instrument to start learning can be a real challenge. 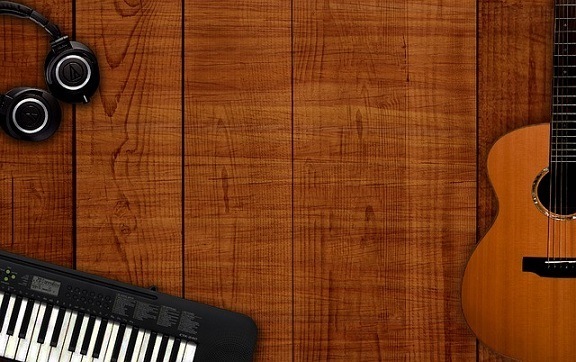 The following are considered some of the most inspired choices when it comes to selecting a fun, pleasant and easy to learn instrument for beginners. Ukes are in vogue, and for good reason. Many beginners prefer them because they’re a cheaper, more melodious and easier to use alternative to guitars. The ukulele is also a highly portable string instrument that can make you the life of the party, whether you’re out on a fun camping trip, or just visiting some friends on a Saturday night. There is currently a lot of online support for beginners learning to play the ukulele, including the information on this site, there are video training resources, books, written instructions, sheet music and live online courses. If you like the idea of learn to play a ukulele take a look at this article where we review the best tenor ukuleles you can buy. If you wanted to learn to play the piano more than half a century ago, you didn’t have many options. Today, instead of spending $50,000 on a grand piano, you can buy a keyboard for a much better price and enjoy a lot of fun resources and training options for beginners. 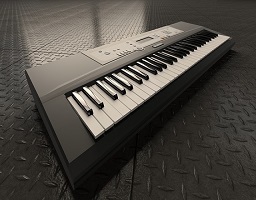 Keyboards fit anywhere conveniently, and their electronic construction allows you to learn quietly using headphones, teach yourself with preset songs, use special training modes and more. 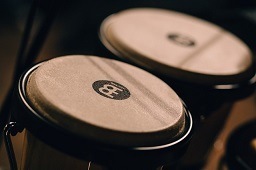 Bongos have a long history among percussion instruments, and they can be great for beginners to learn all the skills necessary to master percussion instruments and musical rhythm. This stress-relieving, mood-enhancing instrument Unlike most instruments, they don’t require much maintenance, and they can be stored just about anywhere and played more conveniently because of their smaller size. If you want to learn to play the drums, taking up the bongos can be a great first step. These instruments will help you learn all about the precise timing and the skill you will need when buying your first drum kit. The xylophone is known as one of the most popular instruments for children. In fact, many child care centers will have toy xylophones for children who love music, and a standard xylophone can be equally useful and fun for someone learning to play their first musical instrument. 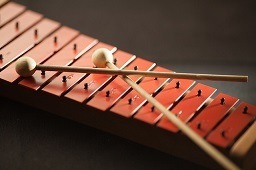 While the xylophone is essentially a percussion instrument, its melodious sound is calming, and the instrument is extremely straightforward and easy to learn. Unlike in the case of other instruments, you won’t need any complicated skills, and acquiring the dexterity you need through practice is far from being just a chore. 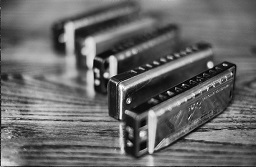 The harmonica is one of the easiest instruments to play out of all the ones listed here. The biggest advantage of learning to play this instrument is its size, which makes it extremely convenient. You can easily hold it in one hand and adjust your grip for comfort. Since it’s small enough to keep in your pocket, you can take your harmonica everywhere you go and practice playing whenever you want. No preparation is necessary, and playing the instrument will not get you tired. Finally, the great thing about playing the harmonica is that almost anything you play will sound pretty good, so you won’t feel the sting of every misplaced note. There are a number of good site that teacher to play the harmonica such as harmonica.com. The violin is one of the most popular instruments in the world, but it’s also quite easy to learn how to play it. Although getting used to holding the bow properly, it will become second nature to you in due time. Also, violins are lightweight, and they can be adapted for many different styles and genres, so it won’t be hard to find your own groove and start feeling completely satisfied with your progress. 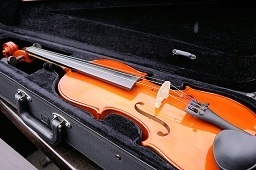 Forming the right skills for playing the violin might be easiest for children, but the instrument can also be mastered by beginner adults without much of a hassle. 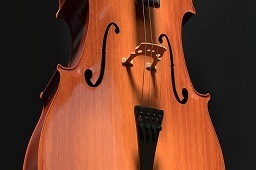 The cello produces some of the warmest and most pleasant musical sounds of all instruments. Being close to the human vocal range, it offers many possibilities in terms of playing it with music of any genre and style. Like any string instrument, the cello can be a bit challenging at first, especially if you never played any other instruments in the past. However, in a few months you can get a hang of it, and probably the only challenging aspect of learning to play the cello will be that of finding an instrument that is well-suited to your body size. With a little practice, almost anyone can learn to play the flute. This instrument is also very close to the human voice range, and because of it’s construction it may be one of the closest instruments to actual singing. Breathing exercises exist that can help you master the flute even faster than normal, and it can take a few weeks of practice to develop the right coordination between embouchure opening and breath control. Also, the flute is an instrument you can practice with even in silence. Just hold it in front of you, practice all the finger combinations, and you can master the instrument in no time. 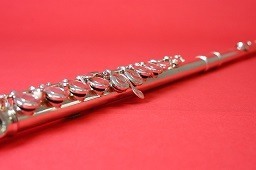 The clarinet is one of the most rewarding and interesting instruments to play. It has an extremely wide pitch range, which makes it easy to use it for almost any type of music. Also, these instruments are not very expensive, even at the high end, and aside from being beautiful and easy to use at short notice, they’re also portable and easy to handle. 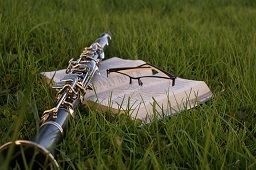 Although there is some preparation required, learning the clarinet can be done easily even in a hurry, as long as you learn how to assemble the mouthpiece and hold the instrument properly. The trumpet may seem easy to play, but it can actually be quite difficult without proper physical conditioning and good lessons. According to most experts, however, once you master the basics, it doesn’t take too long to learn how to play, and it can also be a rich and rewarding experience. 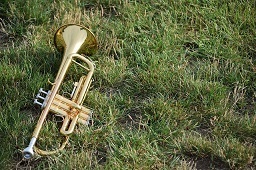 The best approach to learn the trumpet is by first dedicating as much time as possible to taking lessons and learning the basics, and then joining an ensemble that will provide you with the right environment for making the jump from beginner to becoming an intermediate player.